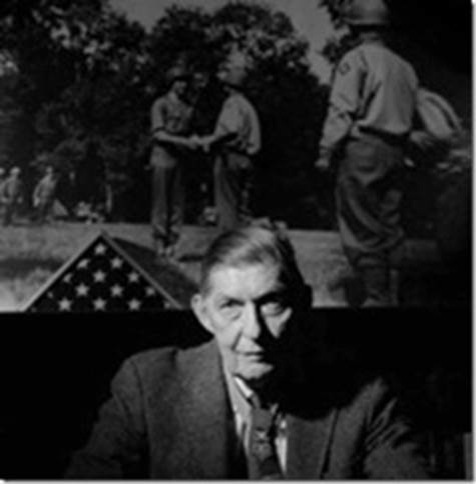 Van T. Barefoot died at age 92 . Remember the guy who wouldn't take the flag pole down on his Virginia property? 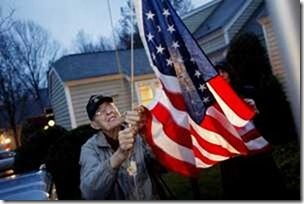 You might remember the news story several months ago about a crotchety old man in Virginia who defied his local Homewowners Association, and refused to take down the flag pole on his property along with the large American flag he flew on it. 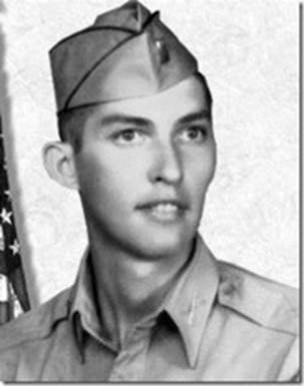 On June 15,1919, Van T. Barefoot was born in Edinburg, Texas. That probably didn't make the news then. But twenty-five years later, on May 23, 1944, near Carano, Italy. He was a 24-year -old technical sergant. 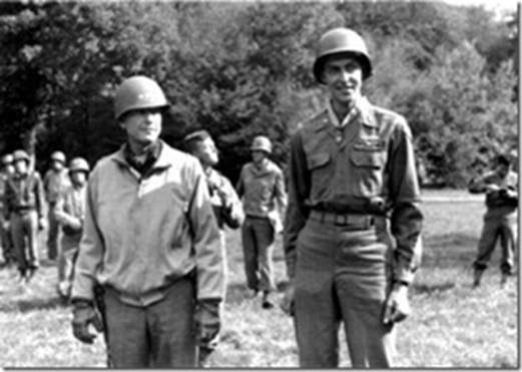 who led partols that familiarized him with the mined area in front of the German positions. During an action that left his squad isolated and communications cut off, he advanced alone through the minefiled, crawling to a German machine gun nest, which he destroyed with a hand grenade. He took out another machine gun nest with his machine gun and received the surrender of a third German machine gun crew. 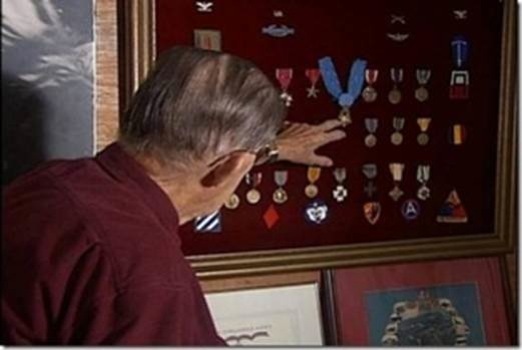 Later that day, he borrowed a bazooka and "took up an exposed position in front of three advancing Mark VI tanks," his Medal of Honor citation says. "From a distance of 75 yards his first shot destroyed the track of the leading tank, effectively disabling it, while the other two changed direction toward the flank. 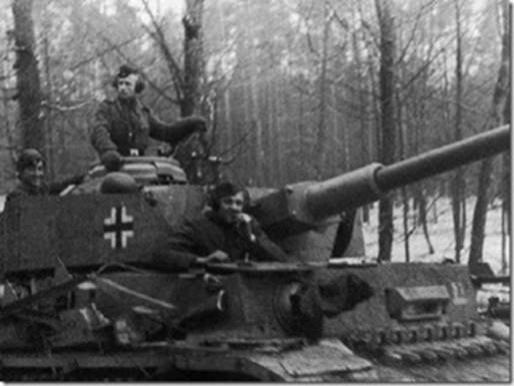 He continued onward into enemy terrain and destroyed a recently abandoned German fieldpiece with a demolition charge placed in the breech. "While returning to his platoon position, Sgt. Barefoot, though greatly fatigued by his Herculean efforts, assisted two other seriously wounded men 1,700 yards to position of safety." "Sgt. Barefoots extrodinary heroism, demonstration of magnificent valor, and agressive determination in the face of pointblank fire, " the citaion said, "are a pertptual inspiration fo his fellow soldiers." His advance took him throught a minefiled but having done so, he procedded to single-handedly take out three enemy machine gun positions, returning with 17 prisoners of war. And if that weren't enough for a day's work, he later took on and destroyed three German tanks sent to retake the machine gun positions. 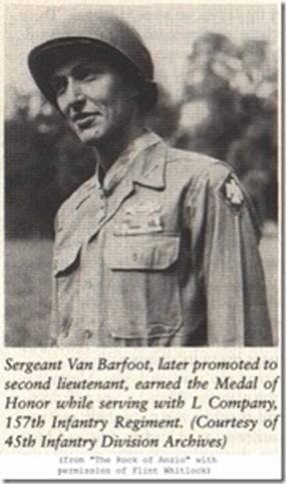 That probably didn't make much news either, given the scope of the war, but it did earn Van T. Barefoot, who retired as a Colonel after also serving in Korea and Vietnam, a well deserved Medal of Honor. 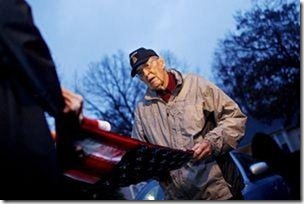 Was his neighborhood Associations' quiblble with how the 90-year old veteran chose to fly the American flag outside his suburban Viginia home. 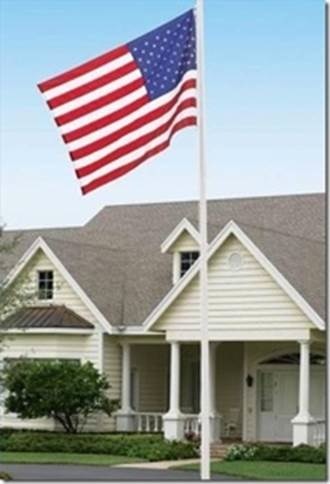 Seems the HOA rules said it was OK to fly a flag on a house-mounted bracket, but for decorum, items such as Barefoot's 21-foot flagpole were "unsuitable". Van Barefoot had been denied a permit for the pole, but erected it anyway and was facing court action unless he agreed to take it down. Then the HOA story made national TV, and the Neighborhood Association rethought it's position and agreed to indulge this aging hero who dwelt among them. 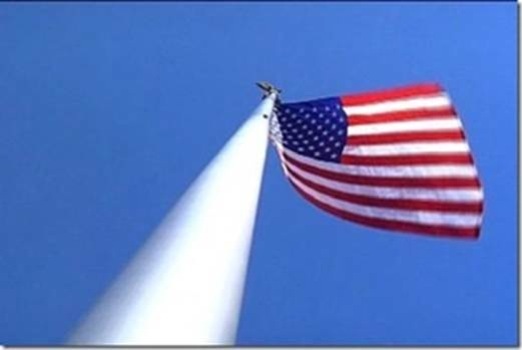 "In the time I have left", he said to the Associated Press, "I plan to continue to fly the American flag without interference." 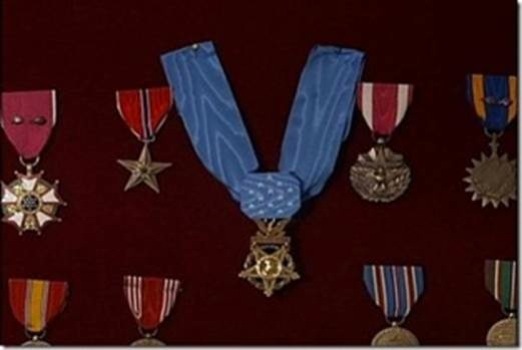 And if any of his neighbors had taken a notion to contest him further, they might have done well to read his Medal of Honor citation first. Mr. Van Barefoot wasn't particularly good at backing down. WE ONLY LIVE IN THE LAND OF THE FREE..